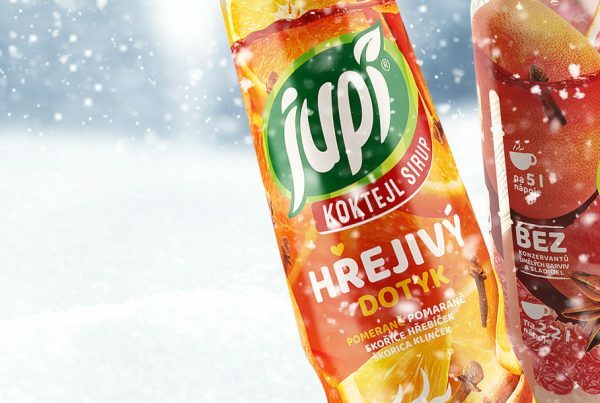 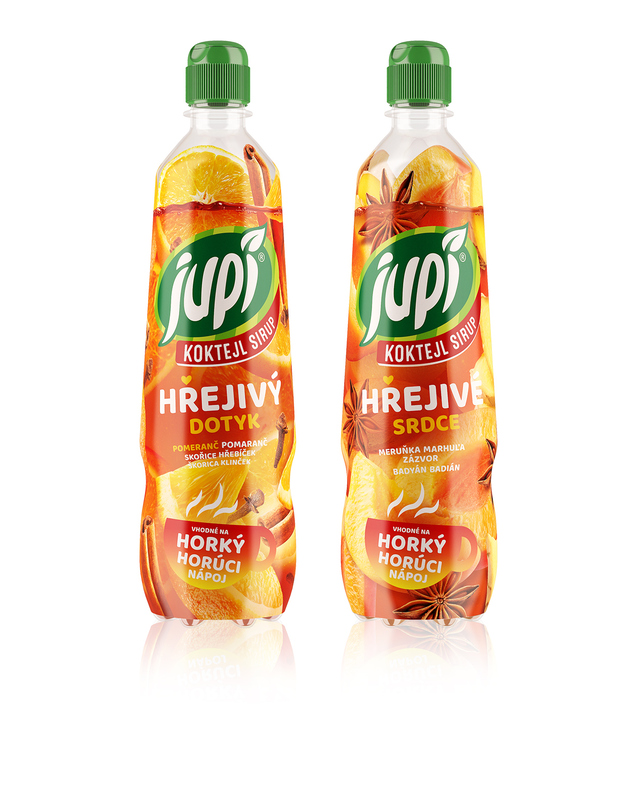 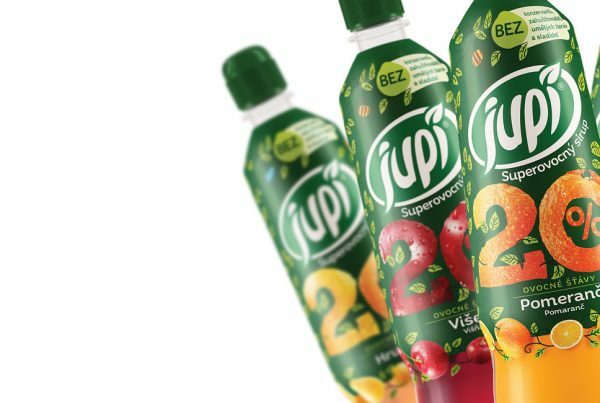 We prepared a series of packaging for hot syrups by Jupí. 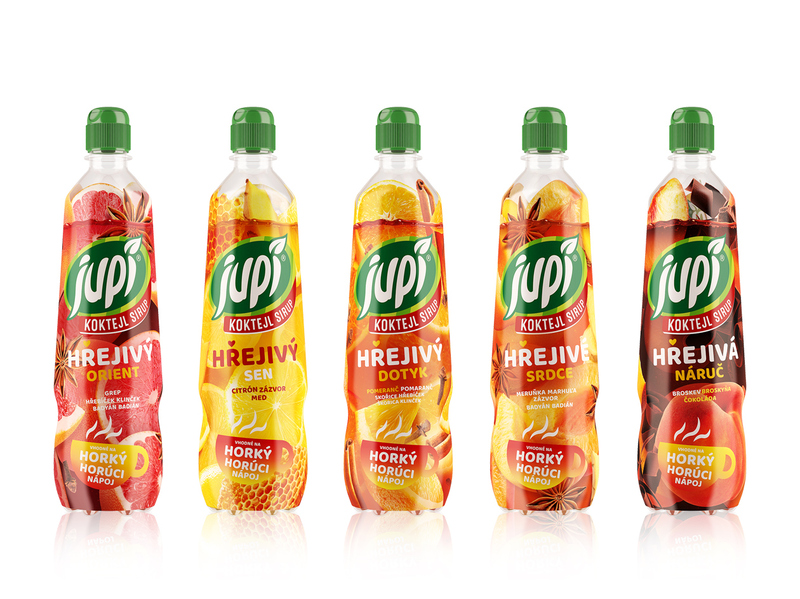 Our goal was to continue the existing design language of previous bottles to which we added new flavors and some polishing. 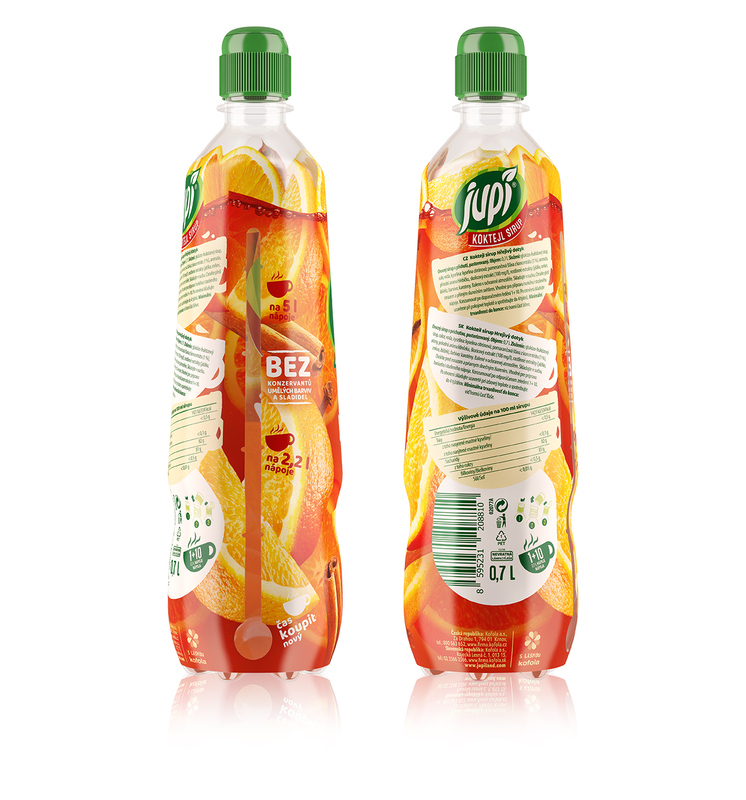 The whole concept of our design is based on representation of fruit and other contents of the syrup submerged inside while some of the ingredients rise above the surface closer to the lid. 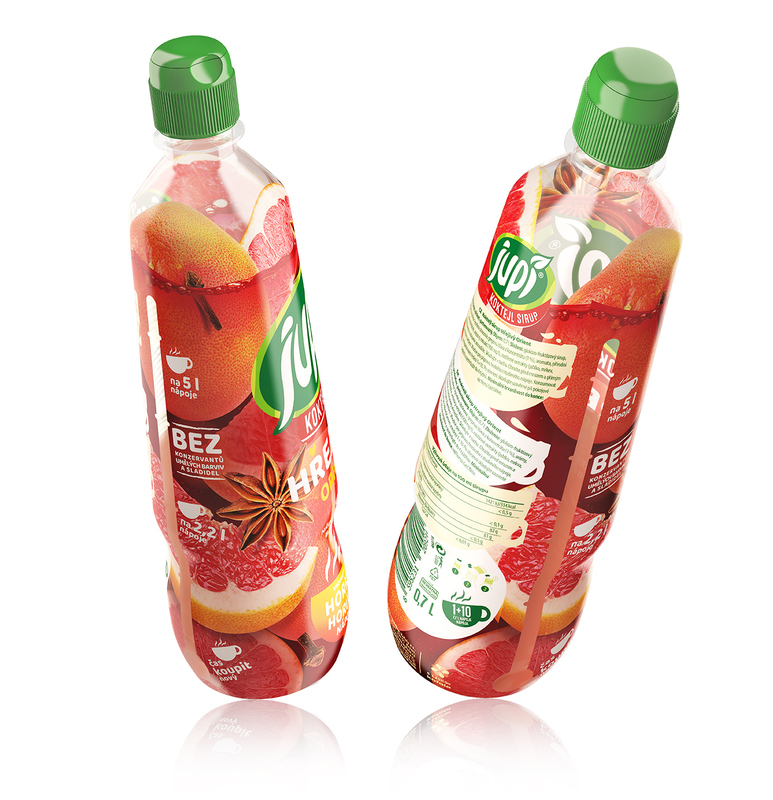 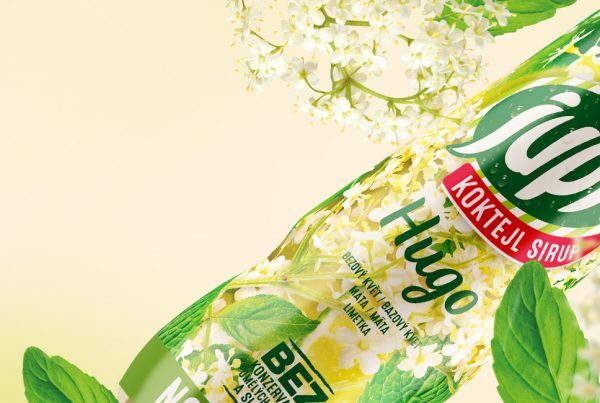 During the packaging’s creation we focused our attention on soft and precise retouching of the fruit which, while appearing submerged in thick syrup, is still recognizable.